This beautiful collection features twelve gorgeously romantic stories, by some of the most talented and exciting YA authors writing today. Includes: Leigh Bardugo, Nina LaCour, Libba Bray, Francesca Lia Block, Stephanie Perkins, Tim Federle, Veronica Roth, Jon Skovron, Brandy Colbert, Cassandra Clare, Jennifer E Smith, and Lev Grossman. 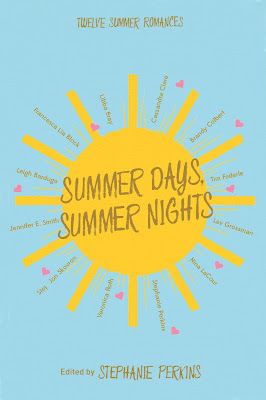 If you've read this post, you might remember that Summer Days & Summer Nights is one of my most highly anticipated reads of the year, so I was over the moon when it arrived for review. 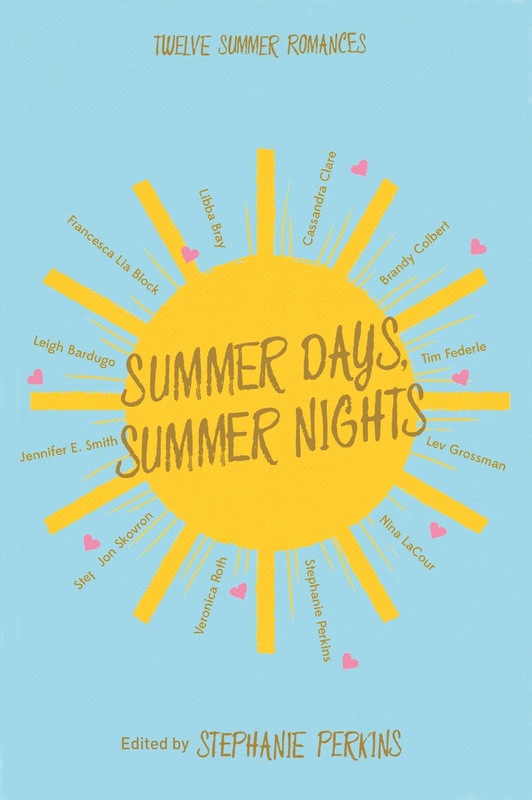 It's a summer version of the festive My True Love Gave To Me, Stephanie Perkins' previous anthology of YA love stories - and it is beautiful, inside and out. I actually really like anthologies of short stories. If you like to read them in order, like I do, then you get to discover lots of new authors whose work you might not have bothered to read, occasionally studded with a new story by a favourite author - like Stephanie Perkins, Veronica Roth or Cassandra Clare, for example. Because it would take ages to review each of the twelve stories in depth, I'm going to take you through my favourites. The first of these was Leigh Bardugo's short story called Head, Scales, Tongue, Tail and is possibly the most vivid piece of writing I have ever read. As soon as I read the first paragraph I was like... huh. This is why people have been trying to make me read her books for so long. (Why didn't I listen?) In short, Gracie - the main character - thinks she sees some kind of monster in her town's lake. Then she becomes friends with a boy whose family goes to the town on holiday every summer, and together they try to unravel the mystery. Things take an unexpected turn... that might be an understatement, actually. My next favourite was In Ninety Minutes, Turn North by Stephanie Perkins. I had no idea before getting this book, but this short story actually carries on from the one Perkins wrote for My True Love Gave To Me. I was SO happy to be back with Marigold and North, seeing how things had changed. I live in hope for a full-length novel about them one day. I also loved Veronica Roth's contribution. To be honest, I wasn't sure if I'd like it. She might be one of my favourite authors - I loved the Divergent trilogy - but I recently read a sampler of her new book and... I couldn't even finish it. And I never give up on books, so the fact that I gave up on a tiny little sampler says a lot. Because of that, I was apprehensive about her story, but thankfully I really liked it. It was original and had themes of mental health, and how it's okay to take medication to treat it. If it doesn't work the first time, that doesn't mean there aren't other types or other doses that you can try. I really enjoyed it. If you'd like to hear about the other stories that I loved from this anthology, I've done a video review over on my YouTube channel which you can check out by clicking here or watching below. I'm also giving away a copy of the book, so if you're entering, good luck!